Which one: The Tecsun PL-660 or the PL-600? I decided it best to post this question, along with my response, below. “I have been on your web site for a couple of hours now. I especially appreciated your super review. From that I decided I liked the Tecsun PL-660 best. As I was looking for one on ebay, I saw an ad for a Tecsun PL-600. Although I did find specs on your web site, I did not find a review by you. I did find links to other reviews. One person said a PL-600 was a PL-660 minus the AIR band. Another said the SSB didn’t work until he took it apart and replaced a capacitor. Another said the filters didn’t work as well on the 600, or didn’t exist. Many said the quality was excellent – buy it! Many said it was terrible. Can you tell me, in your opinion, which, if any, of the above you agree with? And give me your own rating of the 600? “It is confusing and, you’re right, for some reason I don’t think I’ve ever done my own review of the PL-600–though it’s been included in comparisons. If you want the best overall performance, go for the Tecsun PL-660. I think it’s well worth the price. The PL-660 has a great synchronous detector–something the PL-600 lacks–which helps with selective fading and pulling weak signals out of the murk. Since you can select the sideband for the sync lock, you can also use this function to help mitigate adjacent signal interference. 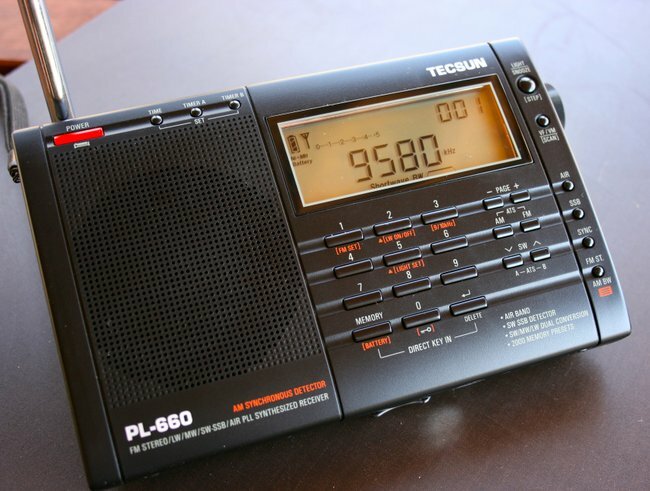 Don’t get me wrong: the Tecsun PL-600 is a great radio in its own right. Of the sub-$100 portables [currently $96 shipped via Amazon, $89.95 plus shipping via Universal Radio], it’s one of my favorites. The ‘600 is one of the few portables on the market in this price range that has a BFO for single sideband listening (along with the CountyComm GP5/SSB and the Degen DE1103 DSP). When newcomers to the hobby want a full-featured sub-$100 radio that’s simple to operate, I often suggest the PL-600. I’ve never had any issues with my PL-600, by the way–it performed as specified right out of the box and continues to do so today. But again, if one’s budget allows I always recommend the Tecsun PL-660. In my opinion, the ‘660 offers the best performance and features for the price [currently $109.95 plus shipping at Universal Radio, $119.99 shipped via Amazon]. At home, I believe I actually reach for the PL-660 more often than I do my pricier PL-880. Readers: Do you agree or disagree? Feel free to comment! 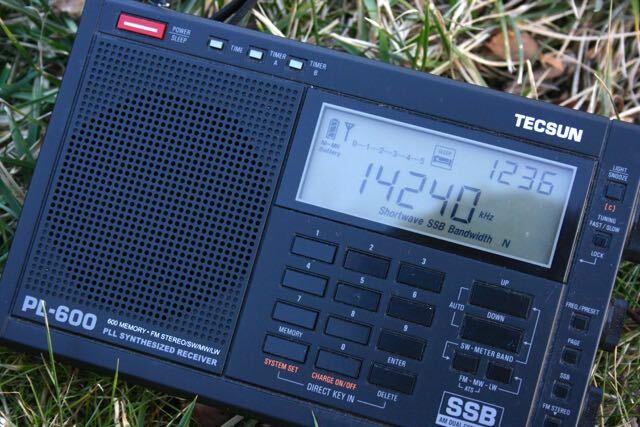 This entry was posted in News, Radios, Reviews, Shortwave Radio, Shortwave Radio Reviews and tagged PL-600, PL-600 or PL-660, PL-660, Tecsun, Tecsun PL-600, Tecsun PL-600 vs PL-660, Tecsun PL-660 on December 5, 2015 by Thomas. I recently bought a Tecsun PL600. A good radio as far as MW & SW DX & FM DX went but distorted audio as far as SSB went. Yes, there is a fix for this but I decided to return it. I returned it, on a new radio I am not inclined to carry out modifications although I am advanced amateur of 37 years of being a radio amateur. I subsequently bought a Tecsun PL660. This is a completely different radio receiver from the PL600. Far more sensetive,, no distortion on SSB & equally as good on the MW/SW broadcast bands. Buy the PL660, you will not be disappoined. Having read the reviews here and on other sites – and about other radio’s, I’ve come to the conclusion that people either don’t read and [u] understand [/u] the manual. Some don’t understand how sideband works and can’t make any sense out of what a BFO (or more correctly, a CRO – a carrier re-insertion oscillator) does and how to set it up. A good communications receiver – and let’s face it, that’s what some of these modern radios are – is not an easy thing to drive without a good deal of practice and understanding – don’t judge the radio in the first five minutes or ‘my radio is deaf on the SW bands’ when they are listening in the middle of the day to the 49m band – read something about propagation and the best bands to use at a particular time. Download a good frequency schedule – I use EiBi-view along with their frequently updated info, mainly because with the aid of “StationList” it will control my SDR. Good wishes to all the guys who have bought one of these modern miracles, my first radio was a crystal set that had been modified to receive the 49m band which was jumping in the mid-1950’s with the cold war – so I’ve been playing with radio, both professionally and as an amateur for 65 years or so!
? ??? ???? ????????? ??? SWLinga ?????????????? SONY ICF-PRO 80, ????? ????????? ????? ?W, SSB,AM ? FM ????? ????? ????? ? ????? ????????? ??????? ? ????????? ????????? ?, ??? ??? ??????????? ?????????? ??????????! For some reason, your message became garbled. Perhaps you were writing in Cyrillic? I bought a so-called ‘third edition’ PL-660 in 2011 and it is, by far, the worst shortwave that I own. Even my $20 Kchibo DSP ultralight is better. The sync detect makes an awful noise no matter what station I try it on, and the audio distorts and the cabinet rattles with increased volume. I tried filling the empty space inside with foam which helped, but not enough to make it pleasant to listen to with the volume up enough to fill a small room. I can only tolerate using it with headphones and sync off. I wouldn’t recommend it to anyone but maybe they’ve improved it since I got mine. And beware – any pressure will break the very flimsy stand. I was putting a frequency in when the thing snapped off. Concerning buying either the PL 600 or PL 660 please be aware of the troubles I had well befor I settled on one,the PL 660.I tested and checked five PL660 radios and found very bad internal”Birdie” problems,the harmonic sound was on all AM/HF bands.Amplified more so if switched to SSB for side band listening.If I decided to listen to a particular frequency and key it in,a few seconds later this muffled sound would start up,so loud it would drown out my station.Then it would move on either climbing up or down the frequencies.So I tested two PL 600 radios,yes the same problem,except this time the sound was more like a “Whistle” that moved up or down as I tuned.All the PL660s I tested were Black ones.The PL 600 was black,I think they only come in black.But then I tested a Silver PL660 and to my supprise this one had no Birdie problems at all infact Ive had it for about a year with no problems like that.I nearly gave up on them.The only thing I can say about the PL660 is that it’s very over sensitive even with the gain switch turned down.By that I mean it picks up every electrical interferance,garage door remotes,electric hedge cutters or anything electrical near by.Even rain static is very high.I have other portable SW/HF radios that dont do that,yet are wonderful receivers.So the “New” state of the art Tecsun out performs alot of other and older style radios,but is not with out some faults.Other than all that,I use it every day for my DXing on my 100 ft long line antenna with no over loading at all.So I say please check them well befor spending your money!! I agree especially with reaching for my 660 more than the 880. I just don’t like the glossy bezel nor the buttons as much on the 880. The audio of the 880 is clearer than the 660, however. Since I was on a someone limited budget and didn’t care that much about Air-Band the answer was “No” and I went with the PL-600. Now and then I’ve pondered if the Sync-Detector would help much, but from researching them in action I don’t think I often encounter the conditions it assists with. Good point, Aaron. Honestly–and this is the conundrum with doing reviews–SWLing is a personal thing. What I like and appreciate in a radio may not match that of someone else. To me, both the PL-600 and PL-660 are great radios. I use the PL-660 more often (and the PL-680 more often than that if on SW only). I tend to use sync detection frequently. If I’m using the PL-600, though, I just try ECSS instead. The best filters and features are those that come with experience–the stuff you develop between your ears. Those work with any radio! No brainer….the PL-660….I have two and they are superb….not only for the money….they are great all round radios and the AM sync works! You can do some serious DX work with the 660 too….I recommend a mag loop as an external antenna if you arw in a high noise location, but the built in whip does an outstanding job on its own and SW stations can be caught with ease. MW also does a decent job although add something like a Tecsun AN200 alongside and you are in business! FM is also pretty sensitive…..LW is OK.
Get a PL-660…..you won’t regret it and it is money well spent. I’d say the Tecsun PL-680 is worth considering as well. I know that some have found its AM performance to be somewhat inferior to that of the PL-660; personally, I’m not a serious AM DX-er (or should that be “DX’er”? ), but I find the PL-680 to be adequate for my modest AM needs, especially if I use a passive loop antenna for weaker stations. Joe: you have a very good point. I was only looking at the 600/660 comparison because it’s the one I’m most often asked (most likely because both are more widely available).